Do you dream of exploring Iceland on your own? Have you imagined what it would be like to wake up next to the roar of a waterfall? What about seeing a slow moving iceberg float past your window en route to the ocean? Have you thought about the freedom of stopping wherever you like to cook your lunch in the fresh air, or to lull yourself to sleep with the sweet sounds of complete silence? 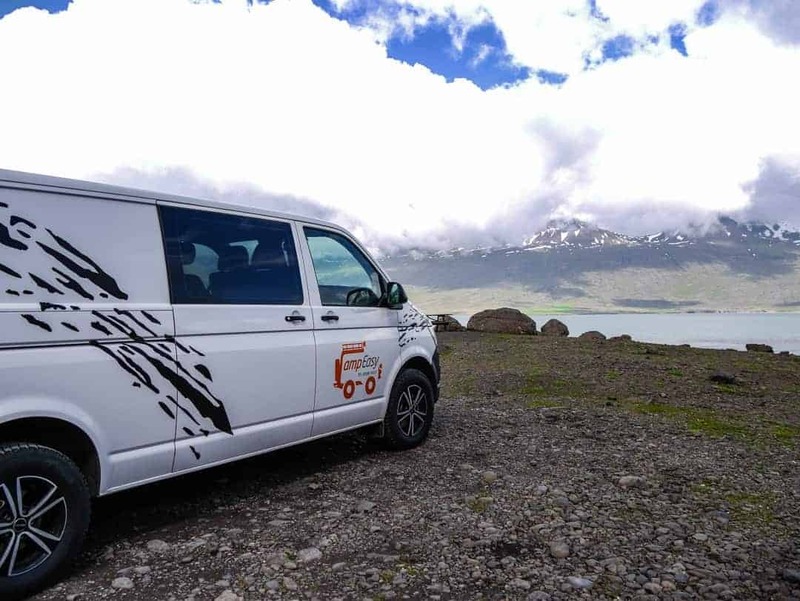 Welcome to the world of campervan travel in Iceland and welcome to one of the best ways of seeing all this fabulous country has to offer. We set off for an eight-day road trip in early June. We had such a great trip made all the better by having some incredible stopover locations at the end of each day. Knowing where to park your campervan overnight is one of the most asked questions online. Irrespective of country, hirers and owners of campervans ask the questions “where can I park my campervan overnight?” or “is wild camping legal?” or “can I park for free in a campervan?” A quick search of Google finds a range of these types of questions. There are several main reasons for this. Firstly, people travel in campervans and motorhomes for budgetary purposes so finding a free location to stopover saves them valuable money. For others, including us, we prefer to be more independent, pulling up where and when we choose. Having to stay in official campgrounds where there can be timing restrictions and location restrictions can be annoying. We do it when we have to but would prefer not to. Of course, saving money doesn’t hurt us either. Iceland is an incredibly expensive country. As the tourist numbers surge here, prices for things that are specifically aimed at tourists also increase. It’s an interesting position for the country to be in. Having come off the back of a very difficult economic issue, the tourists now bring millions of dollars into this economy. Make it too hard, or too expensive for visitors to travel, and they will do what they have done the world over….change course. 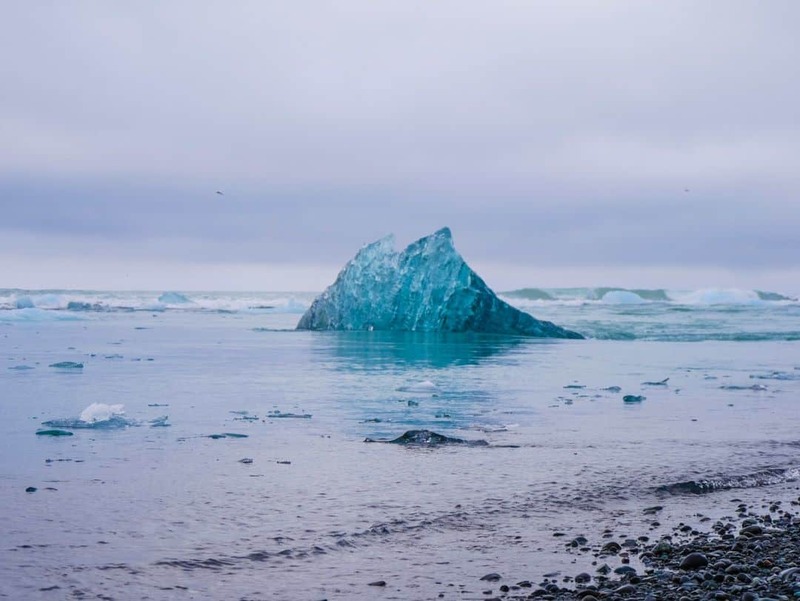 Iceland is definitely the flavour of the month at the moment, but is it sustainable? In a country like Iceland, especially in the summertime, travelling in a campervan is awesome. With the sky never truly going dark, drive times can be extended well past usual stopping times. Finding a beautiful location is easy when you have full visibility of what’s around. So, that’s the reason why those in campervans love to look for a wild camping location, but what are the rules in Iceland? The rules in Iceland cover traditional camping in tents and for those who are in vehicles (campers, trailers, motorhomes etc). In November 2015, a law was changed to prohibit vehicular style camping outside of designated areas. There is a heap of angst about campers in general in Iceland because of the rubbish they leave. I don’t endorse this nor support it and I certainly don’t do it. However, campervanners are being tarred with the one brush and all of a sudden people are deeming that all campers and campervanners are abusive to the environment. This is not so. There are some specific areas where wild camping or free camping in Iceland is expressly prohibited. In addition, some locations like car parks at main tourist destinations have signage up clearly noting that camping of any kind is prohibited. Specifically, to make sure you are fully self-contained, why not hire a portable camping toilet to take with you. In such an expensive country, finding a free place to stay for the night can really help some travellers. We also recently hired one on our road trip in Portugal. It is illegal to park on private land and to drive offroad. Located just across from the Jökulsárlón Glacial Lagoon, Diamond Beach was always going to be the place for us to spend a night. One look at the glacier and the icebergs that I could almost touch had me super excited. It was the sight of the pieces of ice breaking off the icebergs and being funnelled out to sea via a fast moving channel that had me mesmerised. We followed the trail of floating ice under a bridge and out to the ocean where we found the aptly named, Diamond Beach. So named because the pieces of ice beach themselves on the black, rocky beach, and shine like diamonds. Even on a dark, gloomy day, the varying blue hues of this ice is a sight to behold. We parked up on the edge of the carpark near the beach, taking full advantage of our side window by parking it lengthways. As we sat in the campervan under the midnight sun, we watched endless shapes and sizes pass us by. I took photos in my mind of the icy landscape before I finally went to bed, but by morning, those I had seen the night before were now long gone and replaced by a new set of ice. Note: This is not offroad. This is a specific area that has been graded and made for vehicles to drive on. At no time did we drive onto the beach or anywhere other than this road. I will never forget this overnight camping location. It was a postcard-pretty location, made even more beautiful by the mist completely enveloping the mountain and approaching our campervan. But the mist had a more sinister side a little earlier. We arrived at this sweet little town of Seyðisfjörður by coming over the overpass I termed the “terrifying mountain of death”. For what seemed like an eternity, we went from a normal road situation into a whiteout. A complete whiteout. With howling winds moving the car a little, sleet and a road that felt as narrow as a bicycle path, we drove towards Seyðisfjörður. If there had been anywhere to turn around on this road I would have asked my husband to do so. A quick glance at Google Maps (ok more than a few as I was willing the road to end), told me that we were passing glacial lagoons on either side. I imagined that if anyone ever went over the edge here they would sink to the bottom of the icy lake without anyone having ever known you were there. We joked at this moment that if we owned a car in Iceland it would be bright orange to stand out in such conditions. The vehicle in front of us had their hazard lights on and we promptly followed them, realising that the hazards helped cars behind see us. Even though my husband is a fantastic driver, the sight of a car taking the turns first instead of us pioneering the road made me a little calmer. Finally, we came out the other side and into the gorgeous town. Seyðisfjörður is also the location of the port where car ferries come across from Denmark, so this area is well known to those who drive campervans and motorhomes. The worst part about this town is that there is only one way in (by road) and one way out. A few quiet ales at the local pub allowed me to kick back and relax before having to attempt the same drive the next day. Note: This is a dedicated truck/motorhome/campervan location at the back of an industrial area. Electricity is provided for these vehicles for overnight stays. Parking anywhere in the town itself overnight is forbidden. With a front view of mountains, snow and mist and a rear view of the fjord-side town, it doesn’t get any better than this. In Northern Iceland, we stopped for the night in Akureyri, the second largest city in the country. We parked just out of town, at a large municipal car park facing the waters of the fjord. The views around us included the buildings of the historic old town. Note: This is a dedicated vehicle carpark without any signage forbidding overnight parking. Always check before parking. 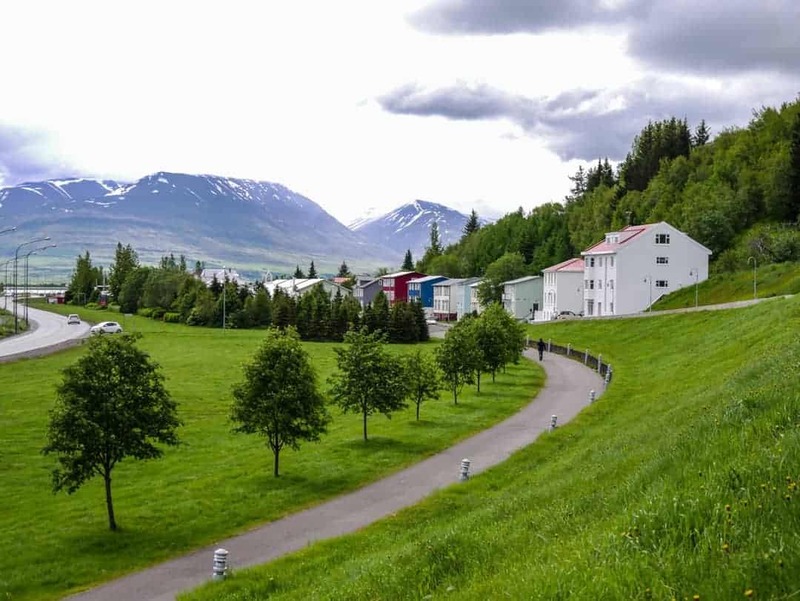 Read our article on why a visit to Akureyri is a must. Nearer to Reykjavik we found a location opposite a waterfall called Fossarett. From one window, the wildflowers and the softly flowing water caught our attention and from the other, a view across the fjord to the snow-capped mountains. Note: This is a dedicated area for vehicles right beside the main highway. It is well outside an urban area. Not signage indicated parking was not possible on the road. It was definitely not off-road. It’s also helpful having easy access to freezing cold water to cool down your beers. We didn’t have a great fridge in our campervan so Mother Nature assisted us greatly. Being able to pull up at some terrific locations isn’t just about overnight stays either. Anytime we stopped for lunch, we always had a view. Mind you, it’s not at all hard in Iceland. Travelling by campervan and larger motorhomes in Iceland is big business. It’s the best way to get around and it’s an accessible form of transport for people of all ages and all budgets. There are a variety of rental companies, most of which operate out of Reykjavik. We used Nordic Holidays and Car Rentals in Iceland to hire our campervan from CampEasy. Operating out of Reykjavik, we were able to pick up and drop off at the same location. Always remember, wherever you stop in a campervan, be a responsible traveller. Respect others around you and respect the environment. We flew into Keflavik Airport and stayed for several nights in Reykjavik first. this made for a relaxing introduction to Iceland. We stayed at the City Town Apartments here, which were central for our time in Reykjavik and also for a pick up for from the CampEasy shuttle bus. Note. This article was written at a point in time when we were able to park where we did in locations that did not prohibit parking. We never left any rubbish and made no noise. We didn’t do anything inappropriate to the environment and we most definitely didn’t drive off-road. As always, you should do your own research to find out the current legislation. As noted at the top of my article, a link provides further detail on the rules for camping. Looks cold but beautiful. Wonderful photos and I love the coloured buildings. Very picturesque … even tempting! Iceland is probably one of the most stunning and magnificent travel destinations. Going there with a campervan seems like lots of fun. Thanks for sharing these spots. How long would you recommend spending there? Such a great post! Iceland is high on our travel wishlist but I hadn’t thought of doing it in a campervan! Thanks for the tips! Found your blog via the Under 1000 Club on Facebook and following with interest. This is our kind of vacation! I love road trip and the best part of it is to camp wildly to be able to fall asleep in the nature and wake up in one! Makes me think of our Australia and the US road trip parking our campervan infront of the most gorgeus svenery one after another! You post will come in handy for sure for us if we are lucky enough for a visit to the Iceland! I drove around southern Iceland a few years ago and I think it would be awfully easy to find a place to park all night there. Outside of the capital region, there are tons of side roads where civilization runs out pretty quickly and not many cars would pass you. I suppose one of the big challanges is finding an isolated spot but with the perfect view. I dream of waking up next to a waterfall every day! If I needed to be sold on Iceland, this has done it for me. I love the freedom that comes with travelling with a camper van and the places you get to explore and be a part of when all the people are gone. I honestly couldn’t believe how beautiful it was waking up next to waterfalls so often. A truly beautiful place. Great info and striking photos. I had pushed Iceland off my list of places to visit, but I think it may have made its way back on. Cheers Alice, it’s definitely a country worthy of a visit despite being hugely popular. I loved Seyðisfjorður and Akureyri when I visited! It seemed like every town in Iceland is so full of charm. I also wonder how the influx of tourists will change the rules for camping and visiting all of Iceland’s natural wonders. Great photos! Great views! Iceland is such a nice country. I’ve been dreaming of going there for a long time. There are also many cheap flights to Iceland. Does an Iceland trip get any better than parking for the night on the edge of Diamond Beach? What a spectacular way to experience such a diverse and beautiful country. when we go to Iceland someday, this is exactly how I envision doing so, and as a family, it is great to know that there are spots like this to set up and enjoy the view. I love the freedom it offers, the ability to stop and cook a lunch rather than find a restaurant. Brilliant! What a great idea, hiring a campervan and staying in Iceland instead of being in a hotel. I love being out in nature so this definitely something I would consider trying especially if you get to stay in places like Seyðisfjörður. I went to Iceland over 10years ago but I have always wanted to go back and explore more and see the difference. I never thought about hiring a campervan and I am not sure why because I love it. Thanks Mel it really was an incredible way for us to travel. Would easily do it again. Great article! Do you recall if there were restrooms nearby any of these? Thanks! Thanks Patricia. Mostly there weren’t from what I can recall. We had a portable chemical toilet on board so weren’t particularly looking out for them. Thanks for the tips. Just wondering where did you rent the portable chemical toilet from. Is it available as extra option from Campervan rental companies? Some of the hiring companies have them or else camping stores.